Providing evidence to policymakers through select committees is a great way for researchers to influence current policy debates. But if you haven’t done it before, the formality of the task may appear daunting. Patrick Hanley has compiled thoughts and experiences from several LSE academics with their tips on preparing and giving evidence to policymakers. This is part one of a series on giving evidence in Parliament. You’ve just received a last-minute call from a parliamentary clerk who, through some serendipitous Google searching, has come across your research. They want you to attend and share your expertise with the committee in the next few days. Having never appeared before a select committee before and with limited time to prepare, what do you do? Academics are accustomed to presenting their research at conferences and through research papers, but speaking to policymakers presents a new type of audience. For those who are seeking opportunities to connect with parliamentary audience, or may have already been called upon to share their research with a committee, speaking before them may be a daunting task. 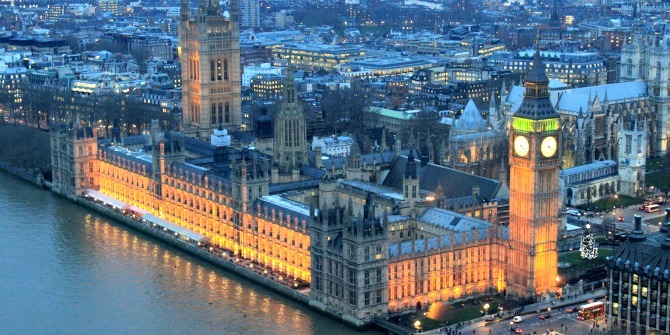 Palace of Westminster. Image credit: By Superikonoskop (Own work) [CC BY-SA 3.0], via Wikimedia Commons. How do opportunities to give evidence come about? Often academics find that the opportunity finds them; parliamentary clerks searching for witnesses who can shed light on a particular issue may contact them and invite them to participate. Such was the case for Dr Joachim Wehner, “in my case, parliamentary staff asked me to make a submission. The topic is very closely related to what I work on in my research, and someone had read some of my work.” This serendipitous case highlights the importance of making sure your work is available on institutional repositories, webpages and expert profiles. For more on how to increase the visibility of academic work, visit the archives of the Impact Blog. However, the chance to give evidence can be proactive as well; academics can create the opportunity for themselves through legislative monitoring and public affairs support. In future posts in this series, we’ll look at creating opportunities to give evidence and engaging directly with Parliament. It is best to give complementary evidence rather than each witness offering the same information. This wouldn’t be seen as in any way conspiratorial from a committee standpoint, committee clerks usually give out contacts for the other witnesses anyway (unlike a legal trial where you can’t talk about it). With the focus of the 2014 Research Excellence Framework (REF), much emphasis has been placed on creating policy impact through higher education research. As many in higher education will well know, judging the relative level of impact is a difficult task. This first post in the series is meant to put you in the shoes of those who have been presented with the opportunity to give oral evidence in Parliament. As we have seen through the disparate views in this blog, academics will have a wide variety of experiences when giving oral evidence. Throughout this series, we will explore how the opportunity to give evidence came about for others, how best to prepare for your time in the spotlight and what sort of impact your appearance may have had. At the end, we hope to have a list of ‘top tips’ to make your experience giving oral evidence a success. How academics can create opportunities for policy impact, including submitting written evidence, proactive monitoring and engagement. Training opportunities and what higher education support staff can do to help academics achieve policy impact. Top tips, lessons learned and more real-life experiences and advice from academics. Patrick Hanley is the Public Affairs Officer at the London School of Economics where he focuses on parliamentary engagement and research impact. He has a background in public policy in the United Kingdom and the United States.